Keep your passports with the filled out Arrival and Departure card, also Customs Clearance Form ready. Usually stewardess will give all the form to you. 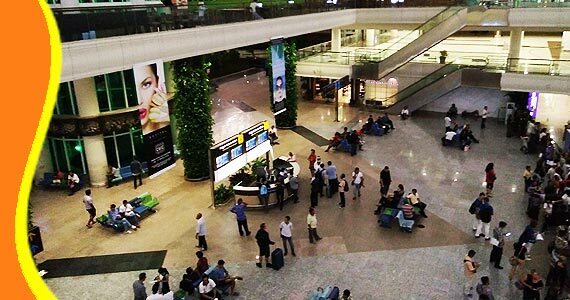 Move to the Visa on Arrival counters. For your information, If you are coming to work, seek a work, study or perform, the a special visa may be needed and have to be obtained in advance and before travel to Bali. For social, holiday or tourist purposes or to attend meetings or conferences, most travelers can purchase a Visa on Arrival US$ 35 per person on Visa on Arrival counter. Southeast Asian citizens and other select countries may qualify for a Free Entry Tourist Visa. 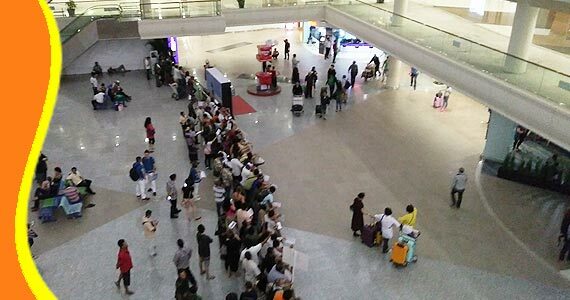 Next step, go to the immigration counters and queue according to the appropriate signs. The officer will scan your passport and may take your photo. Before you leave the Immigration Counter, Re Check that your passport has had the entry stamp and a VOA sticker (if applicable) inserted. 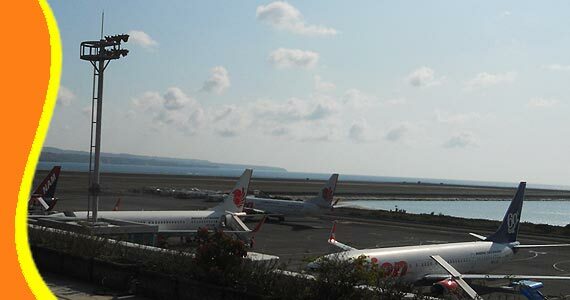 Ensure that you keep the 'Departure Card` with your passport for processing on departure from Bali. 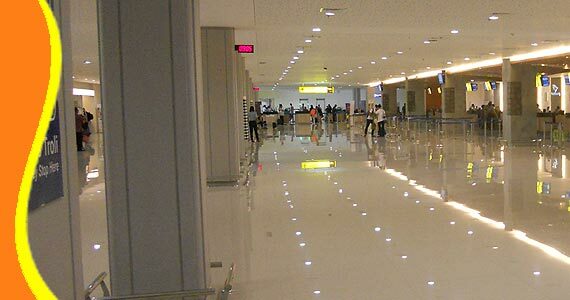 - Prepare the baggage claim tag (sticker baggage or goods) which is given and is usually attached to the tickets of your plane, move towards to the conveyer belt indicated on monitors of your flight. Collect your luggage, identify and make sure your luggage is not mixed up because a lot of baggage that look similar (doing marking on your luggage before travelling). Available trolley facility at the baggage claim area, provided free of charge to all passengers. If necessary, you can use the services of a porter to help carry luggage, with a rate of Rp. 25,000 per luggage (usually depending on your agreement with the porter). Please remember your porter officer numbers and for report in case of somethings that are not expected. Porter will carry your bag until the Parking Area. 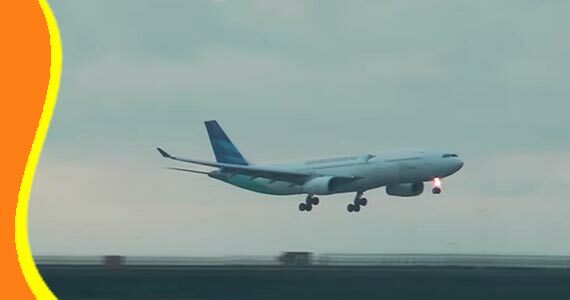 Another security gate at the International Arrival of Ngurah Rai Airport to check your belongings. Customs Clearance gate. Here, you have to join the line and hand your customs declaration form to the official. Each family only needs to fill out one declaration form for the entire family. Place your baggage to X-ray and sometimes the staff ask you to open it for a physical inspection. Make sure you do not bring more then US$ 10,000 on hand and no drugs allowed. After all done, walking trough the money changer counters. 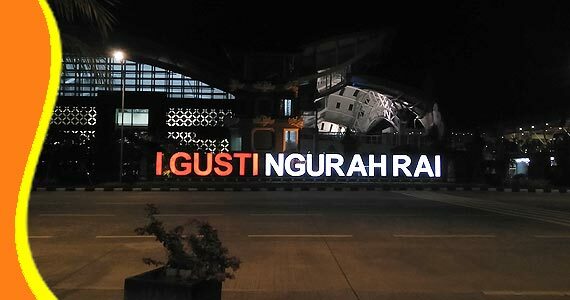 Sure you can stop here for exchange your money to get Indonesian money. Also you can buy Indonesian SIM Card (handphone SIM Card), and filled the balance. 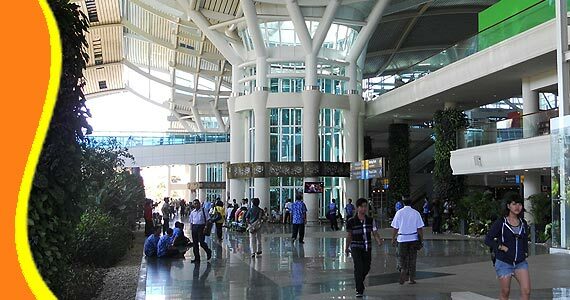 The Meeting Point at Ngurah Rai Airport Bali, where the people waiting and welcoming you to Bali. 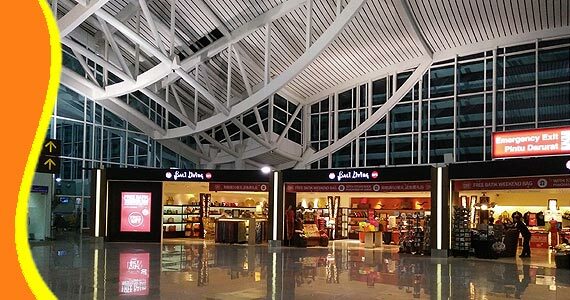 Once you are ready with the baggage you carry, then find your NAME at the pickup area or Pick Up Zone or Meeting Point of the International Arrival Ngurah Rai Airport Bali. 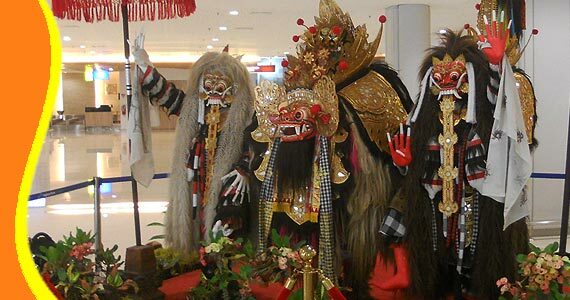 Aruna Tours Bali team is ready to welcome you on the island of Bali. Vehicle parking area is located approximately 300 meters from the pick-up zone. You will be a little walk to get to the parking area.